When someone swerves into your lane, who pays? For Operation Safe Roads we are trying something new called the mailbag, where you call or write in and tell me about the issues that you're facing on Arizona's streets and highways. "A driver hit me while I was in my lane. He said he swerved to miss another car. I never saw this imaginary car he swerved from but because he told police he hit me to miss another car, his insurance is refusing to pay." First off, that's frustrating, right? I spoke with someone in law enforcement who said their job at crash scenes isn't to decide who's at fault unless there is a "clear violation of the law" and if there is, then a ticket would be issued. Otherwise, the insurance companies have to kind of duke it out and figure out who is to blame. I also spoke with a legal expert today who said in these cases, the best bet is to go ahead and pay the $500 collision deductible. 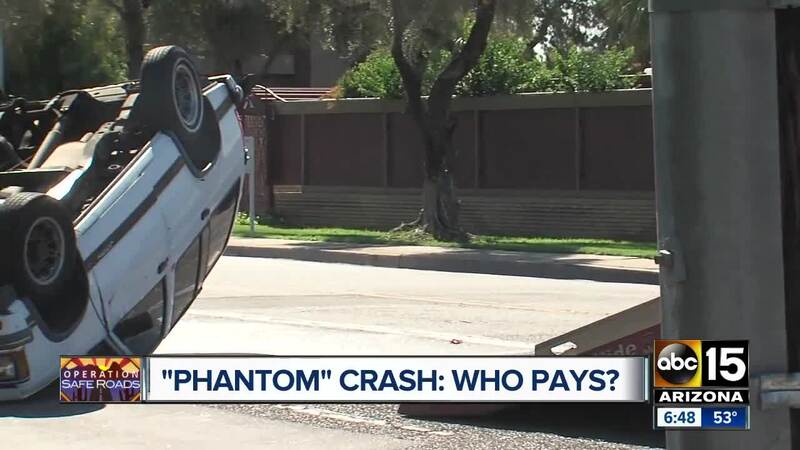 Situations like Crystal's are called "phantom drivers" or "miss-and-run" where the person who allegedly caused the whole thing is nowhere to be found and they've got to try to track them down. Maybe there is a witness account, or perhaps the passenger in your car saw something that could be used in the police report, but again, it would be up to the insurance companies to determine who's at fault and who has to pay. If you've got an issue you want me to look into, call 833-AZ-ROADS (297-6237) or email roads@abc15.com.